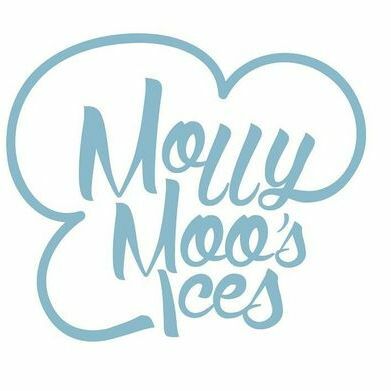 Molly Moo's Ices proudly present 'Molly' - a beautifully restored 1971 Vintage Ice Cream Van serving delicious scoop ice cream in luxury waffle cones or cups, sorbet, retro ice lollies and classic soft drinks. 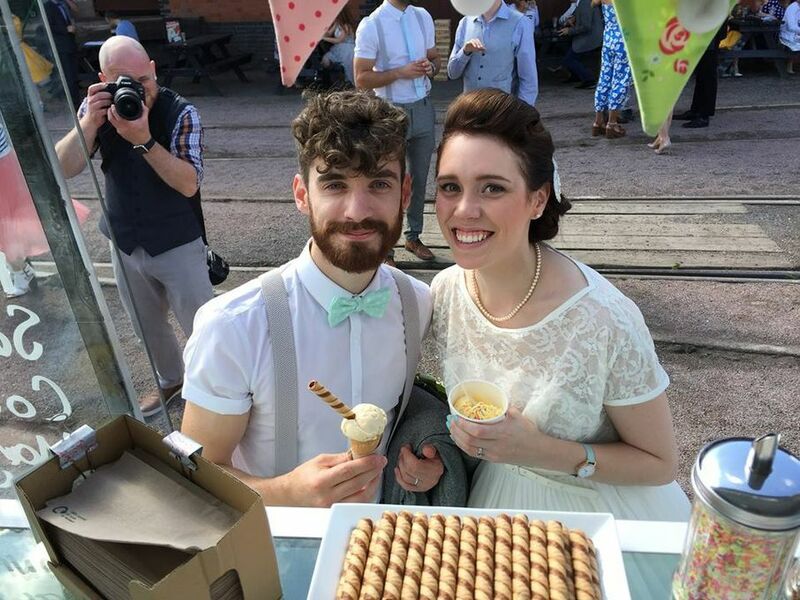 As well as serving yummy treats Molly is a real crowd pleaser and looks beautiful dressed in bunting and balloons. Molly's unique display freezer can hold up to seven different flavours of award winning luxury handmade ice cream. In contrast, most tricycles and traditional carts can only offer you a choice of two or three! We always stock traditional flavours along with some that are slightly more unusual such as Heavenly Honeycomb, Stem Ginger & Marmalade and Brown bread! For weddings and private events we provide a tailored package that is unique to you and your day. 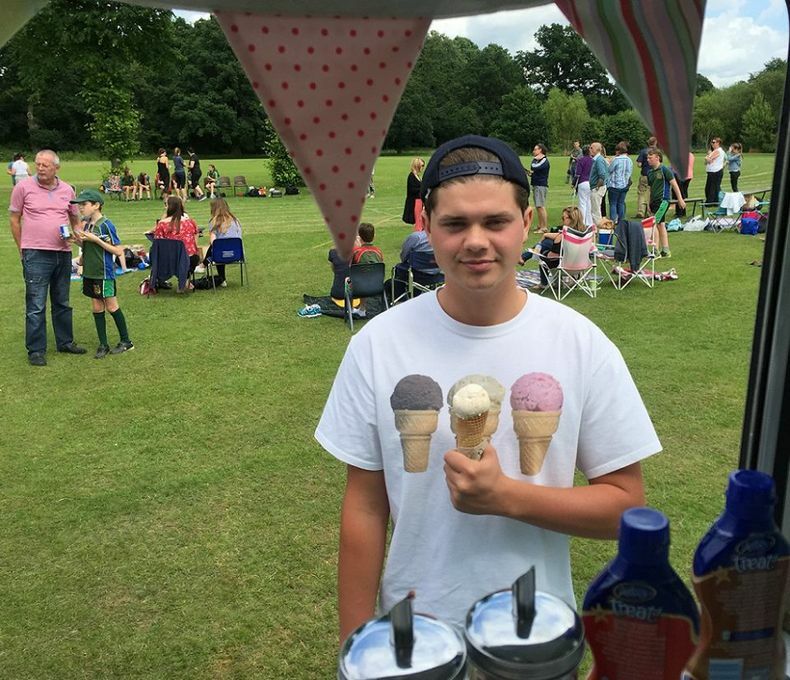 Whether you’re looking for an alternative dessert or simply a treat to entertain guests whilst having photos taken, we would be more than happy to discuss your individual requirements. 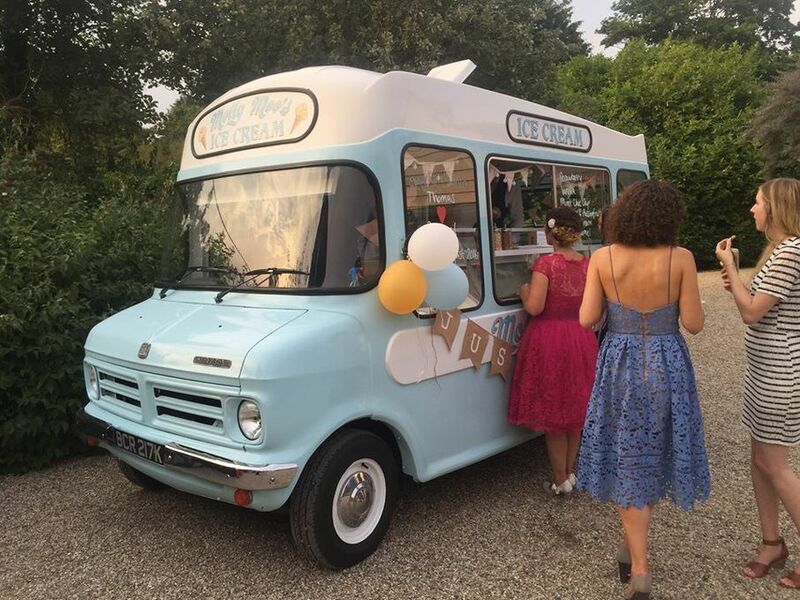 Classic, retro ice cream van available to hire for weddings, parties, fetes and functions!